Jennifer Cluff: Pahud Flute Fundamentals video excellent! Pahud Flute Fundamentals video excellent! This is a new instrumental teaching site that films masterclasses at Domain Forget in Canada. The instrumentalists are astoundingly world-class. 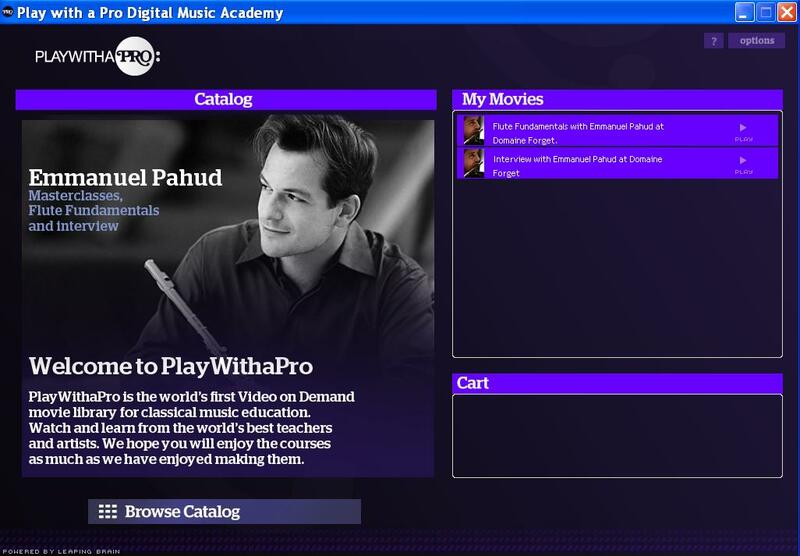 Go to playwithapro, click on the BROWSE tab to look under the artist-instrument list for Emanuel Pahud ( he is top of the list), click on his name, and then you can watch the film previews. When you click on each of the four films, the preview button will appear. Very enticingly excellent and intelligent streaming video clips! 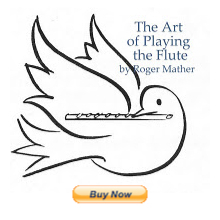 And superb inspiring flute tips? Yes, yes, yes indeed?? I couldn't resist; I spent $40 (using paypal--thank you all you sheetmusic purchasers!) and paid for the 90 minute "Fundamentals" film of Pahud demonstrating the most fantastic flute playing tips. Intonation, Breathing, Blowing, Tonguing, Vibrato, and more. And I added the free the 60 minute sit-down interview film (which is free for the first 500 new users, apparently) which was also totally fantastic. I think it's a fabulous price for a trip to Quebec to hear Pahud describe what he does and how he does it, for an upclose look at his flute playing and ideas for two and a half hours! Fantastico! So, run don't walk to watch these films. What a tremendous learning experience! The download of the site's streaming HD media player is free and easy, and it's only 6 mb. The icon for the PlaywithaPro media player will appear on your desktop. From then on the films you've purchased stay on your hardrive indefinitely, or can be re-downloaded if lost, or backed up on another computer. You cannot save them in alternate media (DVD for example), but you can view them perpetually. And Pahud makes so many consequetively brilliant points, you'll want to view them more than four times, I think. Note: I did have to switch from Quicktime to their alternate media player for some reason to watch the second film, the free Pahud interview. But everything else about the purchase was quick and automatic. What a world we live in! Kudos to the brilliant Pahud! I learned so much! You are such an enabler, Jen! (in the best way, of course). Well, I just love this Play With A Pro thing. I'm an adult amateur, played for over 35 years, but never had a "real" lesson and I'm a pushover for just about any master class because I always, always, absolutely always learn something new. I don't think I'd have found this if not for following your blog. Thanks for sharing!! For some additional opinion on Handel's flute music you might consider getting in touch with Marty Ronish, who did her PhD on Handel's music and is a fine flutist as well. I haven't seen her in some years, but she is very knowledgable and helpful. Do you want me to move this comment to the post about Handel? Thanks for chiming in, Sarah. I think they're really well filmed. This is exactly what I need right now. These videos are wonderful. Glad to help. Happy days!